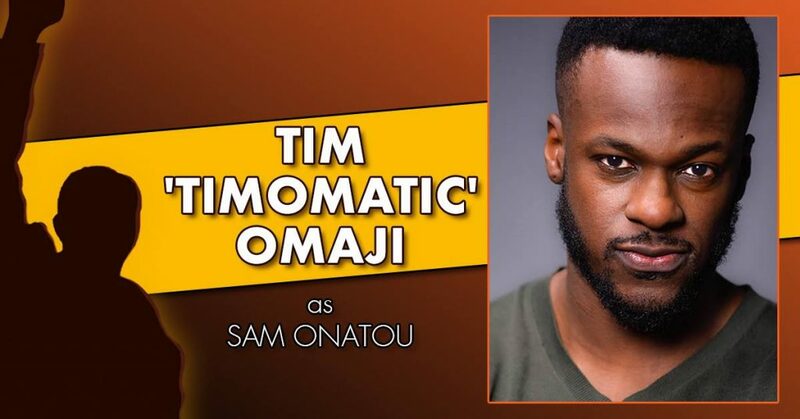 His name has been on trend for years, but it seems Timomatic (AKA Tim Omaji) has suddenly reached peak performance status. With a lead role in an upcoming premiere global musical, a newly released music single and a great gig as a judge on the new Channel 7 TV show Dance Boss, Mr. Timomatic is proving that after almost ten years he is determined to cement his place in the in industry and is not afraid to do it all! Chris Duncan speaks with one of the nicest guys in the industry in our latest Pro Talent Watch Interview series. PLUS!… His new music single is available now to download and it is so cool … ‘Thinking Bout You’. Q: How are you coping with the many amazing opportunities you have underway at the moment? So far, so good. I think if anything, the works starts now for me to really keep building on what’s been happening. It’s amazing to see what’s happening and with the launch of the new show Dance Boss, and then getting ready to do the musical MADIBA… So, I’m excited! Q: Tell me a little bit about Dance Boss (airing on Channel 7) and your experience on the show. I got approached a while ago to do the show … And I fell in the love with the premise of it! I knew it was something new, something fresh, and the fact that it focuses on everyday people in the workplace who have, or have had, a passion for dance which along the way didn’t pull through for whatever reason. It’s giving them that one more chance to have a go at it. I think it’s really cool. I think it’s very relatable and a whole lot of fun. These guys are just out there having fun and having a crack. Q: Have you found any diamonds in the rough so far? Q: How much interaction have you had with the choreographers and the judges outside of the show? Are you guys all mates? Yeah, we are. A few of the choreographers I see here and there. One of them is Tiana (Canterbury?) whom I’m working with her for my next film clip. So, we see each other regularly. The judges are Danni Minogue, Adam Garcia, and Sharni Vinson and we do stay in touch. We’re all kind of cheering each other on and getting the word out there about the show and its talent. Look, it’s a brand-new format in Australia and it takes time to warm into things… You know? Which is completely fair because it’s a very random show. But at the end of the day it’s just a great fun family show and people shouldn’t take it too seriously. No, not at all. These guys are really getting hit with some intense stuff (Laughs). Which makes it even more incredible for the teams. The teams banded together, and there were quite a few injuries as the episodes kicked on. Pretty much if they got through, they’d have to go straight back into rehearsals… and these are not professional dancers so they’re not used to that. It was cool to see how they all kind of banded together and were like .. ‘okay, let’s do it, let’s support each other’. It was quite a supportive process. And because of it not being super competitive in terms of as a professional dance competition, it was mostly positive. Q: Do you hope that the Australian public gets behind Dance Boss because it is everyday people competing? So I believe people can get behind it. Then on top of that, what you do see is the ones that do rise to the top, and the level gets higher and higher. And they just keep getting better! Q: Tell me about your musical coming up… MADIBA? So, Madiba was the nickname given to Nelson Mandela. And this musical is a celebration of his life, and his amazing work. And if he were alive he would have celebrated his 100th year this year!… which is quite poignant and moving. But the crazy thing about this musical is that it has so far only opened in France. So it’s only been done in French. It’s never been done in English until now! This is the first English-speaking cast, they’re trialling it with in Australia. And it’s really exciting. 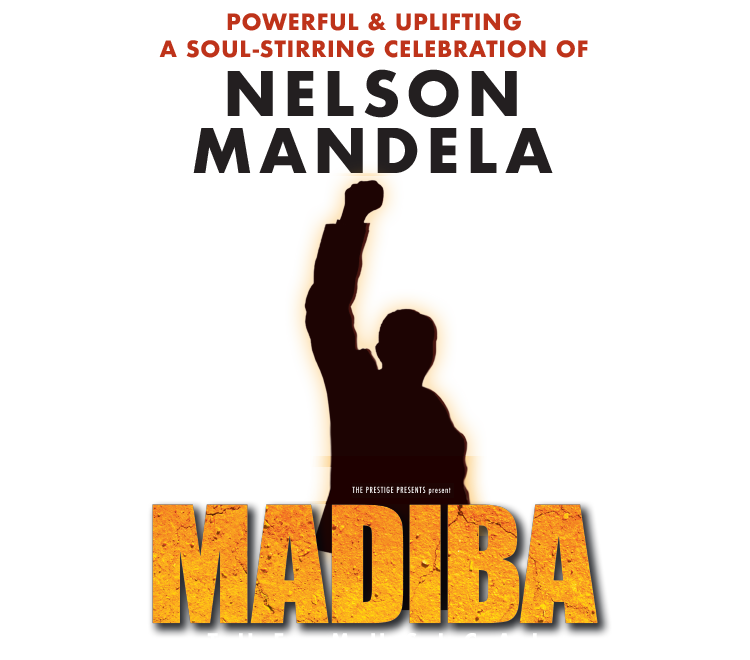 There are very rarely musicals in Australia with predominantly Australian-African casts, which is really special in MADIBA. So, I’m looking forward to it. We go into rehearsals in September. This is probably going to be my most dramatic role to date, in the fact that my role is an activist, and I’m not sure what dance I’m going to be doing, if I’m going to be doing dancing at all. I think it’s going to be mostly acting and singing for this one. Q: Is this your first foray into the musical theatre space? My third actually. My first was Fame! eight years, which had heavy, heavy dancing, as you would know. And then I did Into The Heights earlier this year, which was choreographed by Amy Campbell … actually she was the one who convinced me to audition. She was like, “I think this show and this role would be really great for you,” and I was like, “Why not? Let’s do it.” So I auditioned and got it and absolutely loved doing that show and that role. It was very challenging. And now I’m doing MADIBA! Q: And you’ve just dropped your new music single? Yes, it is a single called ‘Thinking About You’. It’s in time for summertime, and driving… just really chilled good times. And it’s been a while since, this is actually the first one I’ve dropped this year. There’re definitely going to be more to come. But I’m excited, it’s just going with the flow. You can get now on iTunes & Spotify. Q: You’ve got so many amazing hats on right now, how do you feel about it? Q: For a light-hearted last question, what/who do you sing in the shower? Of course, I also sing along to ‘Thinking Bout You’ in the shower at the moment!